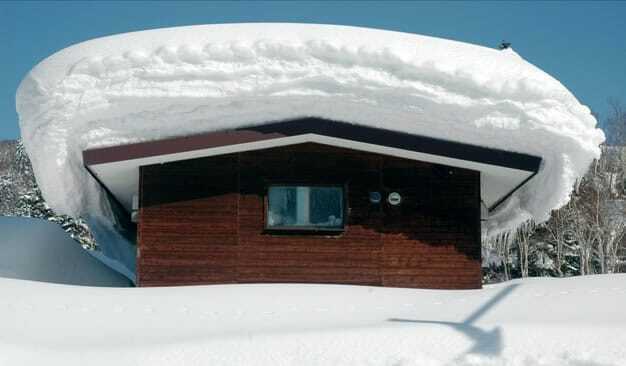 Basically looking for info on how much snow a roof can handle. If your in Fl you probably wont know. :). From what I have read, most residential is designed with at least 20-25 PSF. That equates to 12-17 inches of snow.. In the next couple years we could see these types of snowfalls in one storm. A lot of snow isn't anything new. Old houses had steep pitch for a reason. Whenever we get a 2 footer, I shovel the roof on the newer sections that have a less scary slope. They sell snow rakes with extendable handles to help you work from the ground. Another useful roof calc is rain catchment. so, let's say 1000sf roof times 0.6 = 600. Then let's say you live in an area with very modest annual rainfall of 20 inches (semi-desert) = 12,000 gallons of rainwater per year. So you've got over 30 gallons per day to use in a typical year. Florida building inspections. They still knock on the underneath of the roof deck? I had those diagrams on my old comp. Ill try to find one now. Great tool! Easy and satisfying to use. What is your roof design? 2x8, 2x10, or 2x12 rafters? And what's the estimated roof pitch and roofing material? So much depends on type of roof, pitch, trusses etc. I have metal and snow and ice kinda slides off given a day or so. Also need to know if it's a "cold roof" (vented) or not. Here's a calculator that may be more than you need as I don't understand half of it. This chart doesn't factor in temperature. When it's a couple degrees below freezing the snow is MUCH heavier than in sub zero temperatures. Was meant to simplify. Here's a more in depth one. Reference the chart in Post #16. Lets hope no one ever has to deal with a cubic foot of ice on their roof. It's darn near as bad as having roof on your ice. I hate when that happens. Seen many a pole barn go down with knee deep show that had got wet and compacted and ice on them. After a few fell in every one got together and started getting them shoveled. My nest door neighbor had me up shoveling blocks of the white stuff. Make a square, get the shovel under it and shove down hill. We had taken one of my climbing ropes and had anchored over the building. I begged him to let me do the main roof but he said no and his barn went down about a week later. Funny thing is, is the wings were left standing and the main barn caved. And, get this: His insurance declined payment as he din't have the barn sided meaning it was not finished. Sure f'ed up a bunch of rigs. His barn and my carport went down about the same time......my car port was a goner cuz I was not getting on that chentsy thing and going down while I shoveled it......funny thing about them both going at the same time though. When we had a big snow my father got a kick out of taking a look at the driveway after it had been shoveled. He would then slam the door shut after saying good job. We had a pretty steep metal roof and the drive would be covered instantly in more snow. I learned pretty quick to just slam the door myself before shoveling. I let my younger brothers figure it out for themselves. What was the pitch on those roofs? I'm thinking 16 to 20 foot, with the wings being 3 foot or so. The reason the main roof was not cleaned was the guy that owned it was afraid the clinging stuff as heavy as it was would break loose and take out the wings but that is not what happened and my car port was flat; no way was I getting on it. On this page we will explain how to design with roof rafter span tables and how to read all types of joist and roof span tables for residential framing. This page is part of the Design Your Own House online tutorial. If you are just starting out with your house design, you may want to go to our tutorial site map to go through the tutorial in order, or to jump around it as it suits you. Continuing on from Part 3: Floor Beam Span Tables of Residential Structural Design, we will now look at roof rafter and beam design. Let's consider a basic gable wood roof framing design. The image below shows a cross-section of our simple 12' X 13' house from the joist span tables section of this tutorial. Here we have a wood framed gable roof. Along the top center of the house there is a beam to which are attached the rafters. Each rafter is in turn fastened to the top of the exterior structural walls. As we discussed in Exterior House Designs there are many different house roof types. Initially, we will discuss the framing of gable roofs so that we can learn the basics of how to size a roof rafter, beam or joist. In most regions, the first thing to consider before sizing the wood framing members for a roof is the maximum snow load that the roof will have to bear. All roof framing tables are organized by maximum snow load. If you live in a region that gets winter snowfall, contact your municipal building department to find out what maximum snow loads you need to design for. Depending on your region, you may need to design for a maximum snow load of anything between zero to 65 pounds per square foot (or roughly 0-3 kPa). 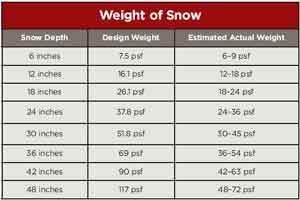 Let's look at the sample table below which shows maximum rafter spans for a snow load of 31.3 pounds per square foot (psf). This table is simply a sample and may not be valid for your region. The maximum spans in the table above are for the horizontal distance the rafter can span (NOT the diagonal distance or actual length of the rafter). So if your house is 26 feet wide and the roof ridge beam is centered on the house, you will need a rafter that can span 13 feet. Let's use this example and find a size of rafter that will work. Looking through the center of the table, we can find a couple of options. The table states that 2 X 6 rafters spaced 16 inches on center (o.c) can span a maximum distance of 13 feet 5 inches. Another option are 2 X 8 rafters spaced 24 inches o.c. In making your choice, consider how you will insulate your insulate your roof. Roof insulation for 1 1/2 story homes (a home where you have living space in the attic) is typically installed in the rafter spaces. So if your rafters are only 5 1/2" deep, that is all the space you have for insulation. It is possible, however, to add pieces of wood onto the rafters to fur them out to allow for more insulation. This is generally cheaper than building with a larger dimension of lumber. It is wise to research the types of insulation you are considering and the R-factor you hope to obtain and then calculate how much depth you need in the rafter cavity. If you are building a one or two-story home but may someday convert the attic to living space, make sure your design will allow enough space for adequate roof insulation. You will need a roof beam as a nailing surface to support the rafters. Typically, the roof beam is made by nailing together a few pieces of dimensional lumber. Once again, you will need to look at your local charts and use your local snow load factor to determine the maximum span for a given wood rafter size. 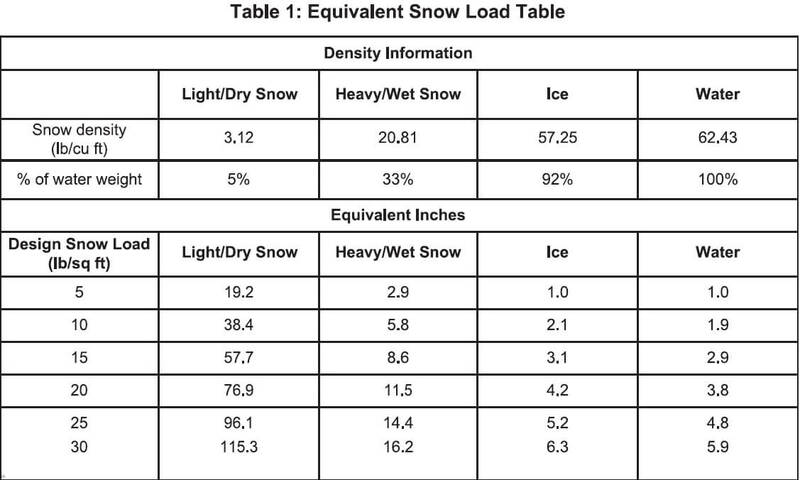 The table below shows built up beams for 31.3 psf of snow loading. The spans in this table are based on a maximum supported rafter span of 16 feet, where the supported span is the total horizontal distance spanned by the roof rafters divided in half (NOT the diagonal distance or the length of the rafter). So this table could accommodate a house with a total rafter span (or house width) of 32 feet. Now recall from Part 3 of this module, Beam Span Tables, we discussed that we may need structural posts to support the floor beams. In the same way you may need posts to support your roof beam. If your span table shows the roof beam cannot support the roof rafters for the whole length of your house, you will want to choose a built-up roof beam whose maximum spans are the same as (or slightly longer than) your chosen floor beam spans. In this way, you can continue your floor beam structural posts all the way from the basement up to the roof beam. It is not a continuous post however. A post for each story sits on the floor surface up to support the floor beam above it. The next post sits atop this floor beam (directly above the lower post) and runs up to the next floor beam or to the roof beam. In this tutorial module, Residential Structural Design, we've covered basic structural loads for wood framed homes, sizing floor joists, floor beams and roof beams. For a timber frame home or a house design that uses glu-lams or LVLs, the principles are the same but you will use different tables. Your local building inspector can direct you to sources for the tables required in your region. If you haven't followed the Design Your Own House Plans tutorial from the beginning you may want to go to the Tutorial Introduction before moving on to drawing floor plans. For a more technical discussion on designing with wood roof framing see the span tables tutorial from the American Wood Council. Even though Massivetwoshits adopted the International Residential Code as a reference, it also incorporates it's own code which outlines by town wind speed, snow loads and siesmic design. In addition to those codes, as an elective a municipality can choose to incorporate an energy code known as the Stretch Code. But try to find what the requirements for that online. Even my town's building inspector can't pinpoint where to find it. She will tell you it's there though. The Commonwealth updated their web site and even the simplest questions on many of the services offered are hard to find. Progress. I have a house with a 3/12 pitch roof. Its a country porch roof. In the north east. It is framed four feet on center with 2×4's. Sheathed with 3/4 tongue and groove bead board. It has endured every snowfall for 160 years. I am dumb founded.